Posted in: Media Release, Update. Tagged: Wright. A drug dealer’s run from the law that began on January 23 is over. Acting on a tip, Franklin Police captured Moore during a felony traffic stop at White Bridge Pike and Brookwood Terrace in Nashville, Thursday. 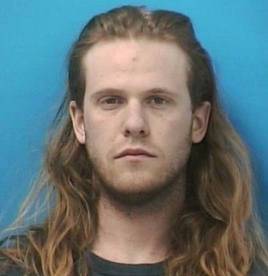 Moore, charged with Felony Evading, being a Fugitive from Justice, Manufacture and Distribution of Marijuana, Possession of Drug Paraphernalia, and Driving on a Revoked License, is being held in Franklin on a $1,027,500.00 bond. He is due in Williamson County Court on February 22. Moore is also wanted by California authorities on charges unrelated to this case.